The populist judge seeks legitimacy by framing the judges’ role as championing the will of the people. 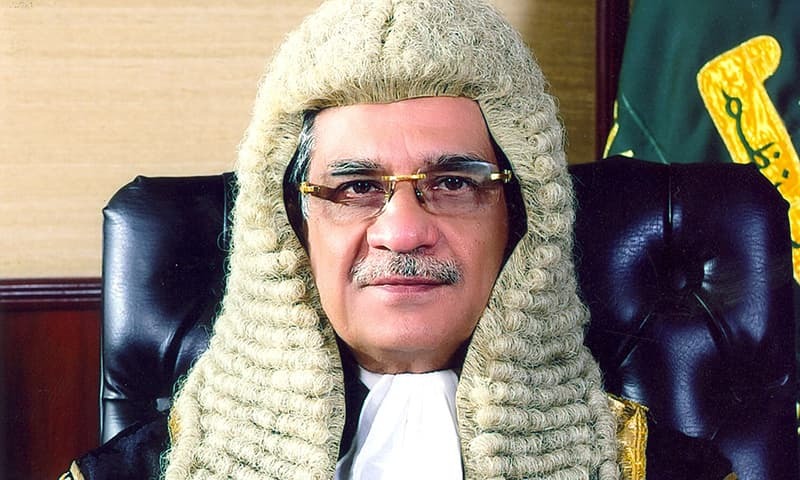 Former Chief Justice Saqib Nisar has been no stranger to the political capital gained from challenging and defying Pakistan’s political elite. “A new hero of society”, “[I]n terms of character, he walks tall. 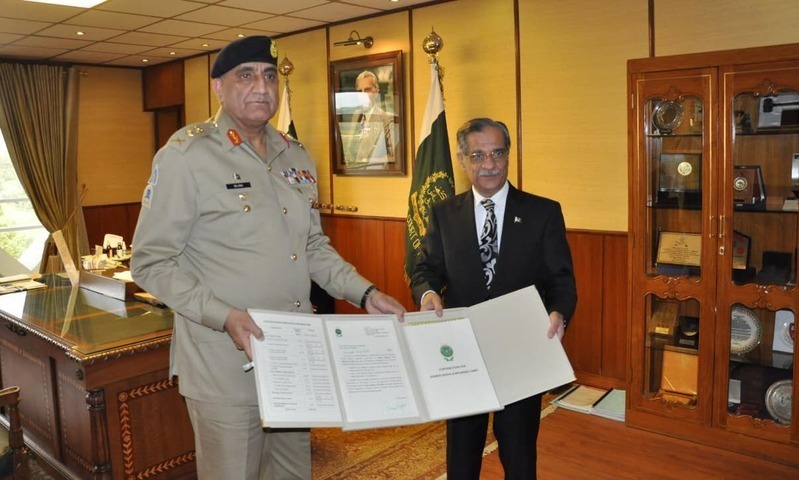 Real tall!” — these were the headlines from 2010 when Justice Nisar stood with then-Chief Justice Iftikhar Chaudhry, rejecting the Pakistan People’s Party government’s offer to be appointed chief justice of the Lahore High Court. In the last year, we regularly followed Justice Nisar as he oversaw the breathtaking expansion of the Supreme Court’s jurisdiction into almost every aspect of Pakistan’s system of governance. His overreach earned him the label of the populist chief justice. Post-exit, the national conversation has been flooded with polarised opinions about the motives, legitimacy and legacy of his populism, but Justice Nisar’s place in our history must be situated in a broader debate about judicial populism, what it is and why it has found its way to the centre of our national politics. If the activist judge is differentiated from the restrained judge based on how the outcomes of the law over adherence to the text of the law and legal precedent are prioritised, the populist judge embraces a more aggressive form of judicial activism, prioritising not only policy over precedent, but also outcomes over processes. The populist judge is unbound by precedent and procedure, interpreting away any constitutional limitations on what the judge can and cannot do. However, legal precedent and procedure do not merely act as restraints on the actions of the judges — they also imbue the actions of the judiciary with legitimacy. If the populist judge is championing the will of the people, like all populists, the question stands: who are the ‘people’? The unelected judge builds its conception of the people through the loudest voices within its immediate social and professional networks: lawyers and the media. Our bar associations are populated by urban middle-class lawyers who possess a potent combination of disenchantment and efficacy. Their disenchantment stems from being unable to realise the expectations of upward mobility and the privilege that comes with it, in a pyramidal legal profession with an entrenched elite of powerful and privileged law firms. Their efficacy comes from their visibility in the courtrooms, in the bar rooms and through their unique potential for collective action that was demonstrated during the Lawyers’ Movement. 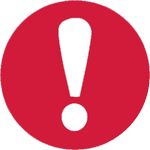 They are frustrated by their limited professional fortunes and have the means to effectively voice this frustration and pressure judges to pay heed to their concerns. The urban middle-class, more broadly, is also disenchanted because of the inability to realise the privileges of upward mobility and it is efficacious as the primary constituency for Pakistan’s new media, which gains an audience through providing coverage to urban middle-class concerns. Middle-class anger, both inside and outside the bar, is directed against elite privilege, most visibly manifested through the ability to bypass bureaucratic and judicial procedures to which the rest of society is subject. This anger is directed against the entrenched elites, the procedures that the elite seem to either benefit from or bypass entirely and the personnel within the state institutions that allow the elites to continue operating this way. Therefore, the populist judge channels this anger to build legitimacy for his own expanding role. The judge smashes past precedential and procedural restraints that seemingly entrench elite impunity and impede middle-class empowerment, directs their rhetoric against the symbols of elite privilege and deploys the symbols of anti-elite defiance. This is not to say that the judges themselves do not often sincerely agree with many of the stances they take, but this middle-class, as represented in the media and the bar, shapes the judge’s conception of the people he or she claims to represent — and the elites he or she claims to oppose. A judiciary that expands its role in Pakistan’s political system and liberates itself from constitutional restraints on the basis of channelling public anger thrives on the inadequacies of Pakistan’s bureaucratic and judicial institutions. Critics of judicial populism have commented on the neglect of the Supreme Court in remedying the sorry state of subordinate judiciary as it intervenes in other branches of government. However, the superior judiciary derives its legitimacy from public frustration with the sorry state of the lower courts. Just as the military used public outrage against the state of security in Pakistan after the Army Public School attacks in 2014 to further expand its policing and judicial powers, the Supreme Court uses public outrage against the state of Pakistan’s subordinate judicial bureaucracy to disregard procedural limitations on its original jurisdiction and expand its authority over the issues lower courts appear unable to deal with. Where a member of the general public expects that it would take an impossible amount of time and resources to get a fair hearing in the lower courts, writing a letter to a Supreme Court judge or making a direct plea in front of a camera promises a simpler and more comprehensible route to gaining access to justice. Thus, the flip side of the sorry state of Pakistan’s lower courts is the expansion of the superior judiciary’s role. Finally, if judicial populists focus on confronting and defying the visible symbols of elite privilege and impunity, then it is these symbols that will draw the greatest scrutiny. 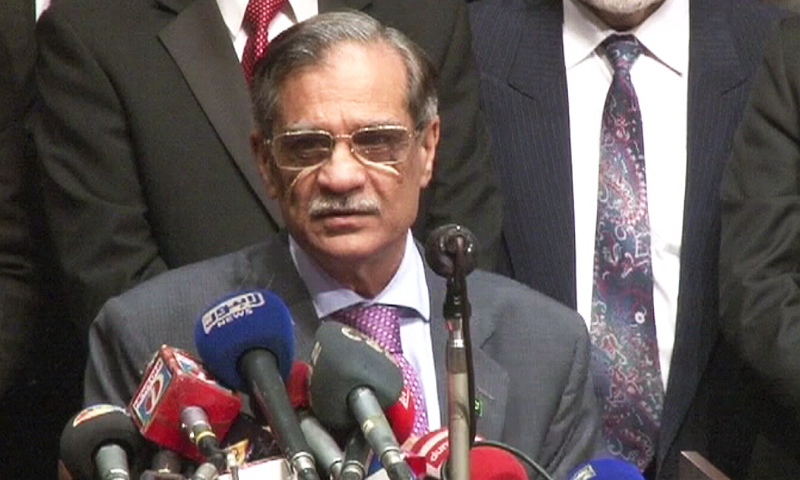 Judges preceding Iftikhar Chaudhry and succeeding Saqib Nisar have all sought to burnish their populist credentials by targeting these visible symbols: from political corruption to elite-controlled bureaucratic and judicial appointments to real estate scams and price hikes that disproportionately affect the middle-classes. These are the visible symbols of elite privilege that matter the most to the judges’ audiences. The courts have rightly come under criticism from sections of the intelligentsia for focusing their scrutiny on the political elite more than the military elite. But the logic of populism also dictates that the judge prioritises challenging the political elite. Through a combination of limited media coverage, institutionalised privileges and a legitimising national security narrative, the symbols of military excess and impunity are simply made less visible and more palatable for the urban middle-class and therefore less likely to generate the same populist outrage. Within the bar though, certain symbols of military privilege remain sources of outrage, including military coups, interference in the judiciary, real estate scams, cantonment maladministration and enforced disappearances. This dates back to the Musharraf years, when military power was naturally a lot more visible. Thus, even though the judiciary has not acted decisively against enforced disappearances or the questionable practices of cantonment authorities, through their hearings and public statements they maintain a rhetorical position that they are not willing to let these issues go. And this is also why another populist judge, Justice Shaukat Siddiqui, in a bid to gain some legitimacy against charges of judicial misconduct, positioned himself as a defiant challenger against an allegedly military-controlled Supreme Court. This defiance would gain him limited credibility outside the legal community today, but it continues to resonate within sections of the bar. Thus, Justice Nisar’s populism may have polarised opinion on the role of the judiciary, but it is not an anomaly that will go away. 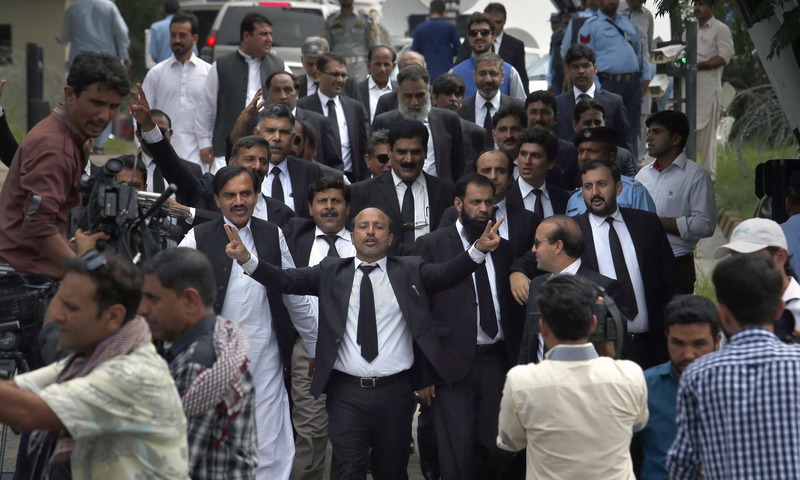 It is increasingly the norm of Pakistani judicial behaviour shaped by a legal culture that rewards symbolic defiance and anti-elitism over adherence to procedure and precedent. A favourite maxim in the Pakistani legal community is "not only must justice be done, it must be seen to be done." For today’s populist judge, the question is who is ‘seeing’ it, and what does justice look like in the eyes of the beholder. Yasser Kureshi is a visiting scholar at the University of Oxford and a teaching fellow at the School of Oriental and African Studies. He tweets @y2kureshi. The superior judiciary is mainly responsible for the agony the people undergo as regards administration of justice. The judiciary always tilt either to civilian elites or the military establishment. I am personally of the view that justice cant be expected from the judiciary in Pakistan. Ch. Iftikhar CJP did all save justice. Saqib Nisar was openly saying his dream is to construct dams and retire debt. Judicial reforms never existed on his agenda. The people in general know this phenomemon and have ceased confidence in the judiciary. Layers in Pakistan are just to mint money from their clients. Similarly, the judiciary is not for speedy justice. For example, a wedding certificate (Nikah Nama) which contains all the conditions of a wedding has no importance in the eyes of law. That's why if some dispute arises and the bride goes to a court of law, it takes years to have her right from the groom. A woman has been fighting to have her right according to her Nikah Nama since 2016 but in vain. Judicial activism or the military activism is the result of the failure of the political parties to deliver good governance. The vacuum has to be filled until we have high integrity politicians willing and able to do their job. We have been sleeping over 70 years. If we expect all to be normal including judiciary it is not going to happen. Things have started rolling with Chief Justice Saqib Nisar. He is followed by another equally good Justice Asif Khosa. Now the affairs are improving. Let us give time. At the same time we should do whatever is possible in our power to improve everything around us. As uttered by our Prophet the lowest form of Emaan is to believe that wrong is wrong and do not condone it.